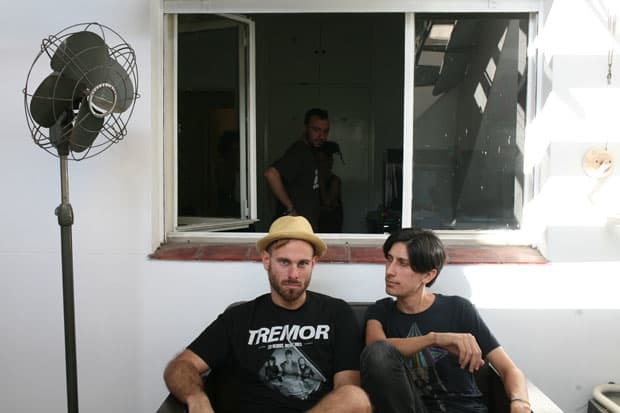 Villa Diamante and El G of ZZK Records in Buenos Aires came together at a time when the experimental cumbia scene was bubbling up and decided to start a weekly club night called Zizek Urban Beats Club, or Zizek for short. We profiled their boundary breaking work in FADER 55. Shortly thereafter they started their own label, ZZK. Here they collaborate with artist Leandro Erlich and Brooklyn-based DJ n-ron for the third installment of Daniel Perlin's curated series of mixtapes for Domus.